Excerpt: "Starting at noon today, internet sensation Birmingham Mountain Radio also can be heard over-the-air here on the 107.3 FM signal, AL.com has learned. It will replace syndicated sports station 107.3 The Ticket." 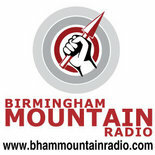 "An adult album alternative (AAA) station whose playlist includes such artists as Toad the Wet Sprocket, Mumford and Sons, Jason Isbell and the Civil Wars, Birmingham Mountain Radio launched as an internet-only station in December 2010, and for three years in a row, it has been voted the city’s best radio station by readers of The Birmingham News."